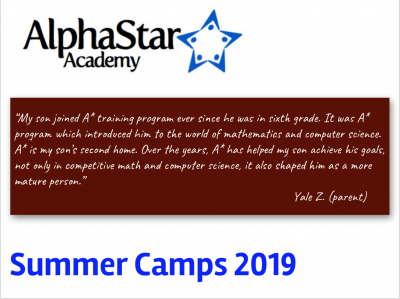 AlphaStar Summer Physics Camp is a unique opportunity for interested and talented students to prepare for physics olympiads. It is a day camp focused on the F=ma Exam and consists of an accelerated coverage of topics and special problem-solving techniques. The Summer Camp will offer both F=ma Basic and F=ma Advanced, equivalent to the yearlong courses. A scientific calculator is required and preferred over a graphing calculator. 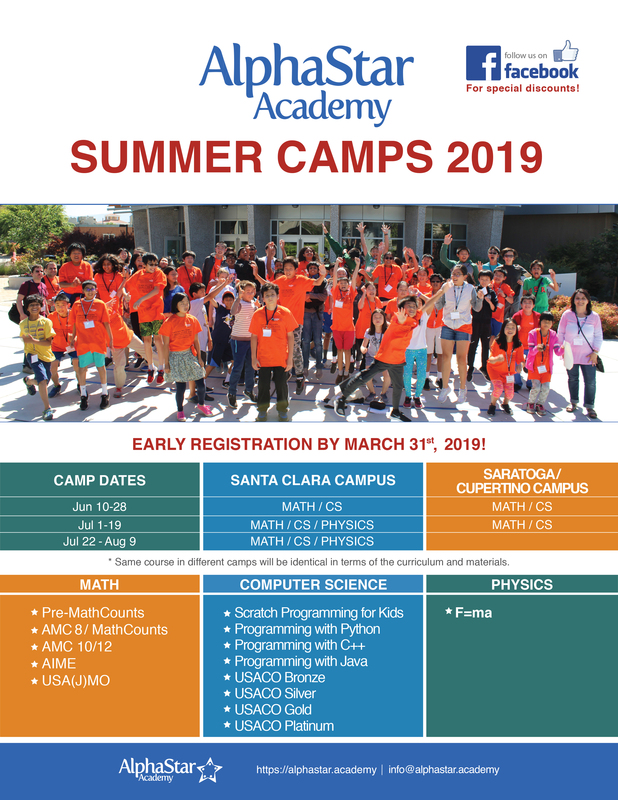 Please let us know your course, time & location preference for 2019 summer camp if the above table doesn’t fit your schedule. Based on the demand, we may be able to open the requested courses. AlphaStar Academy offers summer camps in day camp format. However due to increasing requests made by non-local parents and students, we’ve decided to provide a communication platform via Facebook group for your planning purposes. You can communicate with other interested parents to make your residential plans for 2019 summer camps by joining the AlphaStarSummer2019 group. * Complimentary lunch will be provided by AlphaStar Academy. Sample menu including vegetarian option will be emailed to registered students in advance. Willing to answer all questions. Insightful.